MODEL NCH18 - Most Popular! 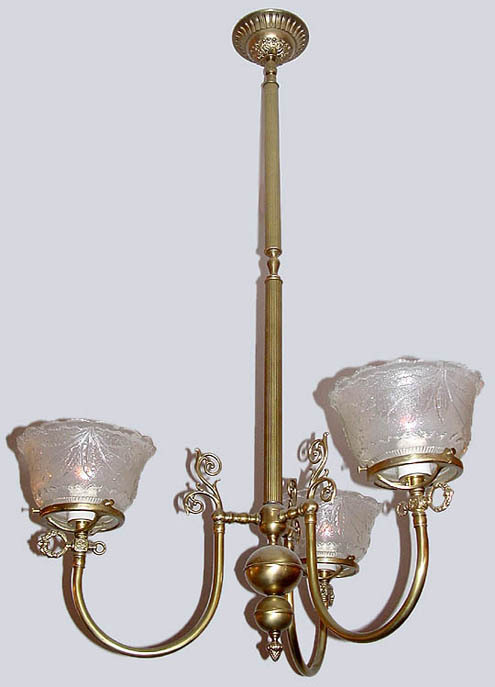 This 3 light 'U' arm is great for a kitchen lighting over a dinette or entryway. Similar to the others in this series but more compact. This gas light reproduction is Victorian at heart but bordering on traditional Colonial. Reeded tubing flows nicely with the ceiling plate and really comes together with larger faux gas keys.